The myth of Akihabara permeates Western fandom as deeply as any other misconception revered by Western anime fandom, but rarely, if ever, is it questioned or explained. Akihabara is not the epicenter of Japan’s cool otaku subculture, nor does that subculture even exist. Akihabara is an over-merchandised shopping complex in the middle of Tokyo’s Chiyoda ward, populated by Japan’s manchildren, gawking tourists and the foreign residents who erroneously portray it as the hub of modern Japanese pop-culture. I found Akiba to be a fun place when I finally did get to go, walking through places I had only see in pictures was a fulfilling experience, shopping in the “mecca” felt like shopping in any other place just with more moe. Ultimately I want to go back and browse the electronic stores more, look for a laptop or notebook. Akiba seems to be downplaying its former embrace of the otaku subculture although the maid cafes are not going anywhere. 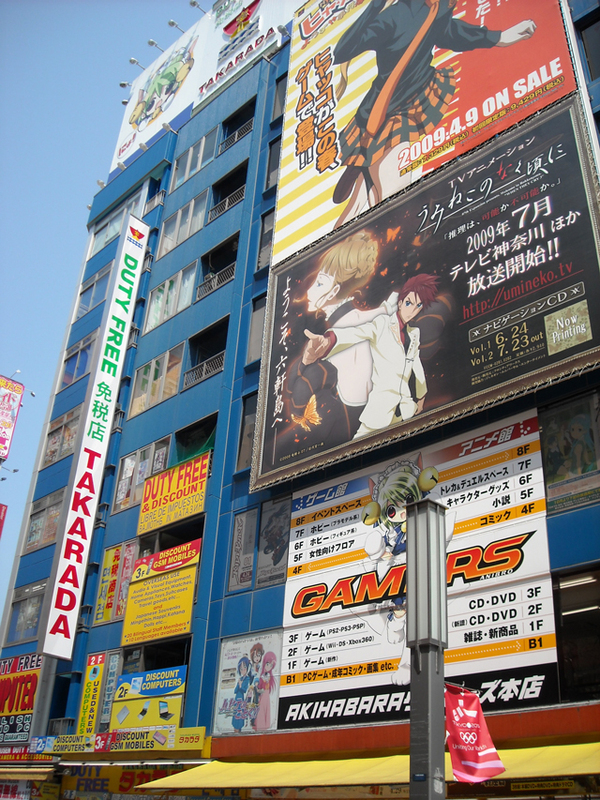 epicenter of the otaku culture or not I just want to go there to experience the stores and atmosphere!